Miss Adventure is the fourth in a series of custom pinball machines. 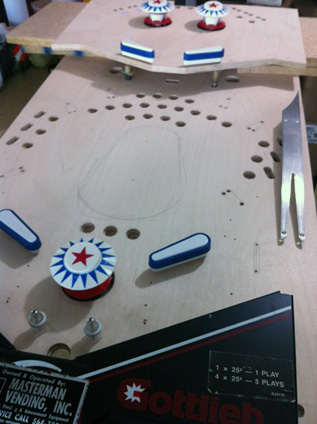 As with the other three, it uses a mix of vintage and reproduction playfield machinery (Bally, Williams and Gottlieb) with new microcontroller electronics and original artwork. Some of these games are developed entirely in simulation first, others with pencil and paper before importing into VP. 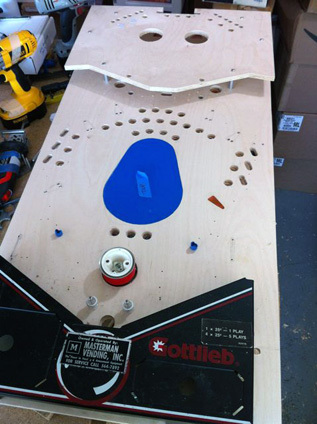 This game was initially sketched in a drawing program, transferred onto a white-wood, and then later re-drawn in Visual Pinball to verify and tweak some of the physics and game rules. Like the other games in this series, some of the electronic circuits are unique and highly customized, while others are off-the-shelf units from PinScore, MultiMorphic or Arduino. 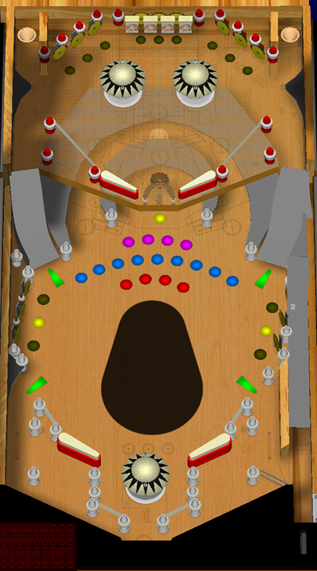 This particular game is unique in the series: There are three levels, the lower under-playfield one being it's own "virtual pinball" machine playing on a PC tablet. Although the playfield geometry was designed with old fashoned pen and paper, a computer simulation was used after the fact to explore game rules, scoring, and other potential functionality. This was implemented using Visual Pinball (VP) software, a copy of which can be found here, and is freely available to play on a personal computer. This is the first game in the series to have more than one level. In fact it has three, the third being a "virtual" lower playfield viewed through an acylic window, similar to games like "Creature from the Black Lagoon" and Congo". 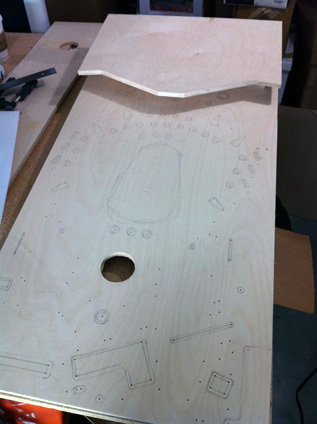 The under-playfield element allows flexibility for a wide range of game features. It will start as a roulette wheel (inspired by tables like "Fan-Tas-Tic"), then progress to various levels of game-within-game. All the while helping the player with on-screen instructions as game-play modes change. The upper playfield is designed to be swap-able, adding additional flexibility to create new games within the same basic format. Completed and installed at the ??? Pinball Location ??? on mmm dd, yyyy. Info about debut to be placed here, TBD. 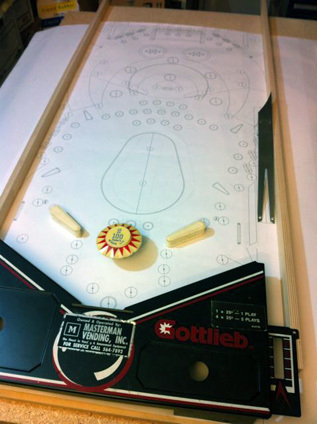 Although the playfield geometry was designed with old fashoned pen and paper, this simulation was used to explore game rules, scoring, and other potential functionality. This was implemented using Visual Pinball (VP) software, a copy of the table can be found here, and is freely available to play on a personal computer. Enjoy!